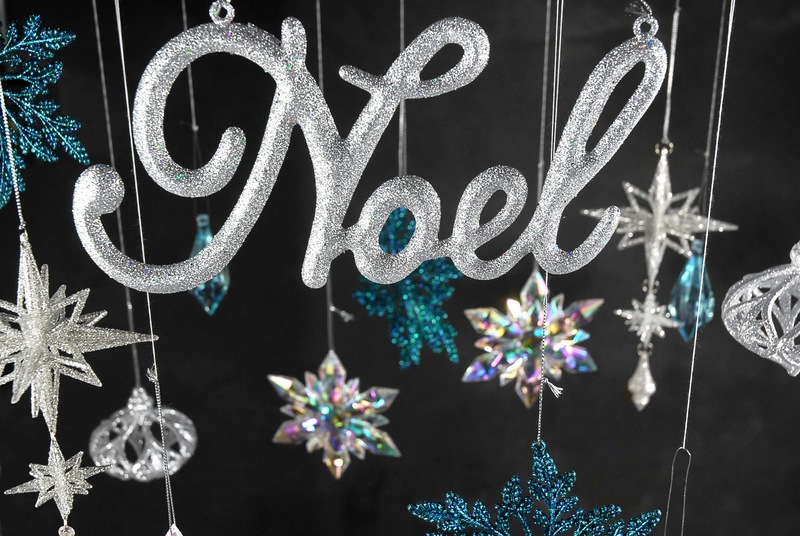 Decorating for Christmas this year has so many wonderful options! 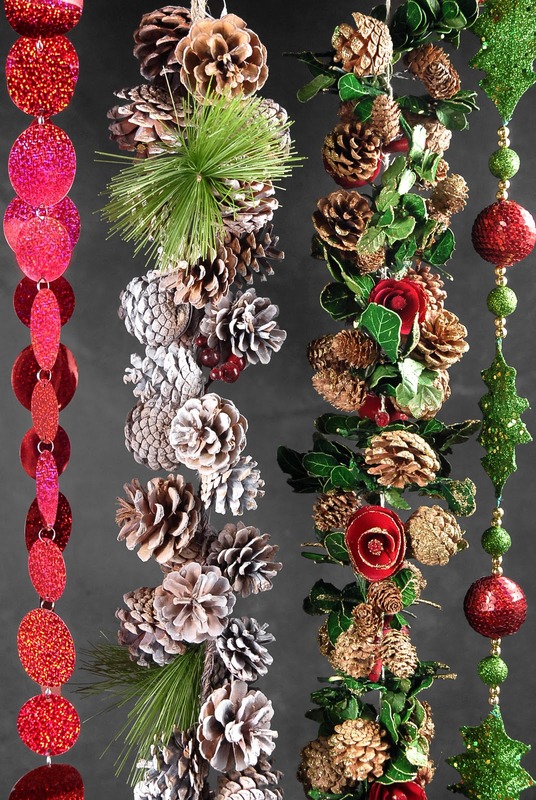 Gone are the days of metallic garlands and plain glass balls. With all the gorgeous ornaments, ribbons and flowers available now, your tree can become a reflection of you and your personality! And now that you can find quality, affordable artificial trees that are pre-lit, more people are setting up multiple themed trees that match their homes. For an elegant feel, try a Venetian tree. In tones of gold, burgundy and dark purple, and decorated with masks, keys, crosses and music, this tree would be showstopping in a formal living room! 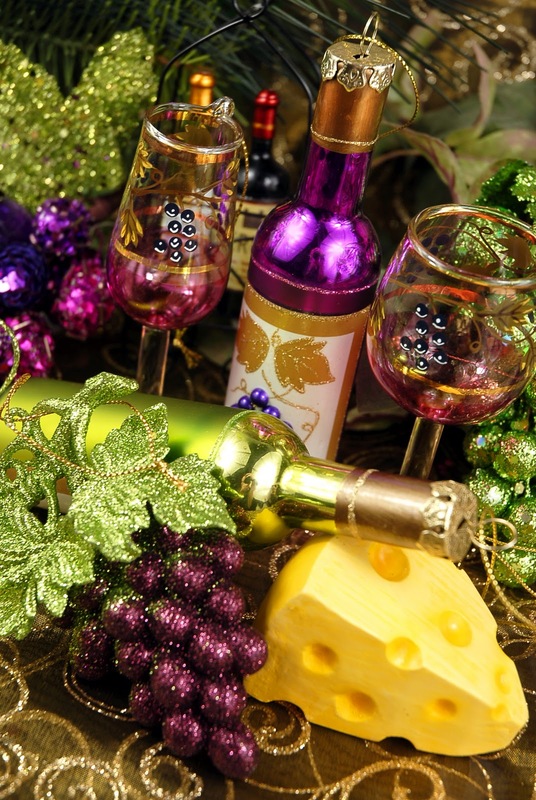 In St. Nick's Vineyard, wine themed ornaments in shades of purple, gold and green would make a perfect backdrop for a holiday wine tasting. A Peacock tree in teal, green and copper would be stunning as well. Think of how beautiful a topper of peacock feathers and copper ribbon would be on your tree! 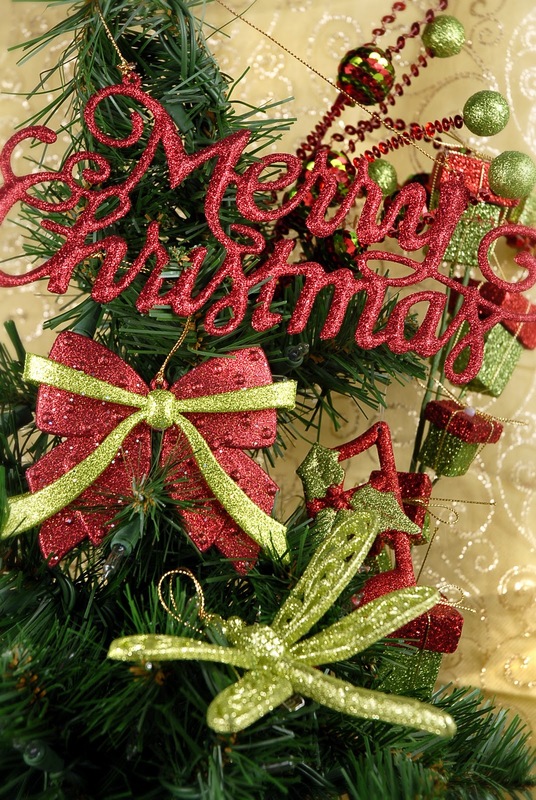 If you're more traditional, a Merry & Bright tree in red and lime might be more your style. Top this tree with a big bow made from glittery holiday ribbon, and use festive and even funky ornaments in the color scheme for a tree that's fun and whimsical. Or how about Winter Wonderland in frosty shades of silver, blue and white? Crowned with a top hat and garlanded with a scarf, you'll invoke the feeling of Frosty all season long. 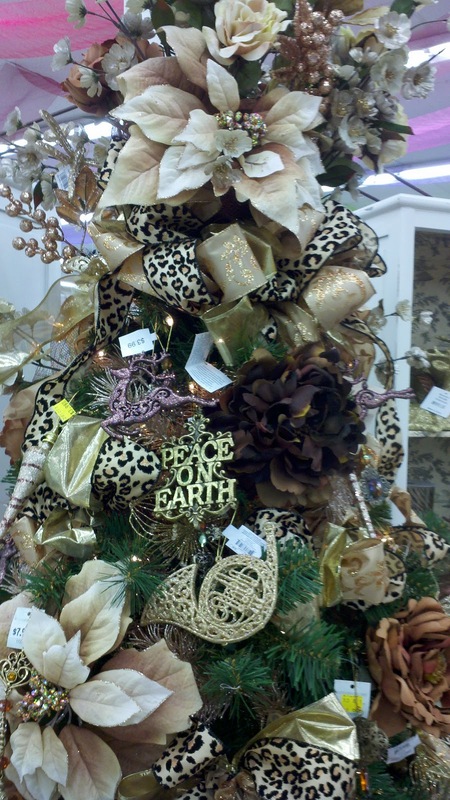 Want to go with an untraditional tree? 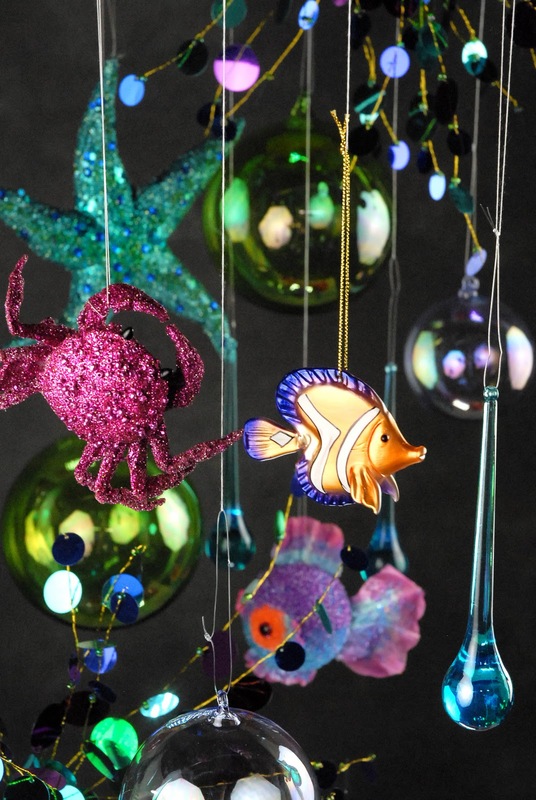 With glittery shells, fish, mermaids and seahorses in blue, teal, pink, lime and purple, an Under the Sea tree can be magical! Or recreate the Rainforest using tropical flowers, parrots, monkeys and frogs. A huge spray of hibiscus and fern at the top of the tree will really make a statement. Add some animal print ribbon to complete the theme. For a daughter's room, how about some Winter Glam? Little shoes and purses in hot pink, black and white, with some zebra print ribbon would be perfect! What little girl (or big girl, for that matter) wouldn't love a glam tree in her room? We topped ours with a pair of REAL shoes, painted and glittered to match! Let's not forget the boys! A Woodland tree with bears, birds and sleds, a Cowboy tree with boots, saddles, horses and burlap or even a sports tree with ornaments in their favorite team colors will bring a smile to your favorite guy's face whenever he walks in the room. 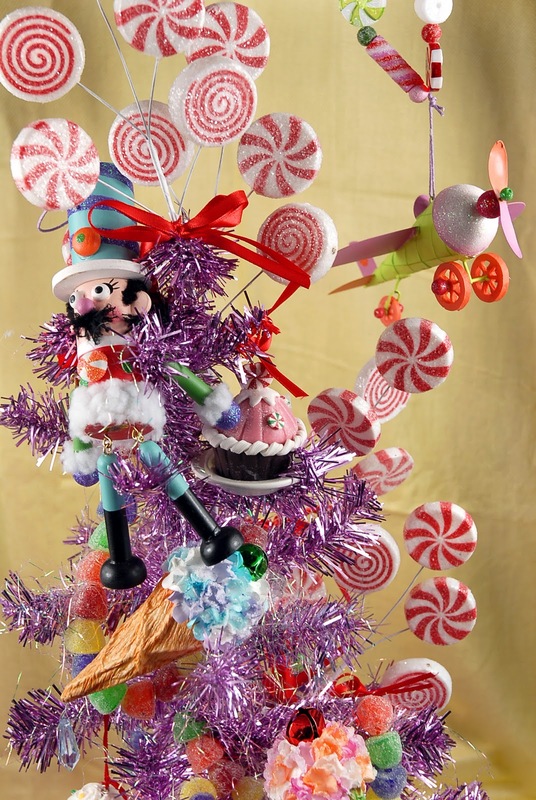 While I still keep a family tree full of the kids' pipecleaner and glitter creations, I'm looking forward to creating a Candyland tree in my kitchen this year, filled with cupcakes, candy and gingerbread men! So tell me, how will you decorate this year? Are theme trees a part of you holiday decorating? Good Day Sacramento at Beverly's Yards of Fabric! On Tuesday, November 22nd, Courtney Dempsey from Good Day Sacramento, a popular morning show in the greater Sacramento area, brought the program's Designer Challenge to our own Beverly's Yards of Fabric Sacramento in Carmichael! Two designers, Uniquka Johnson of UJ Fashions, and Latiya Abdullah of Tailand Designs, arrived bright and early along with the Channel 31 TV crew. They each received a mystery bag of fabric to work with and two hours to create an original garment. Each designer was given a five minute shopping spree to gather notions and additional materials to use in their design. But of course, there was a twist! At the end of the five minutes, the designers received another mystery bag with instructions that the contents had to be included in their finished garment. Inside the bag? Burlap and a brightly colored feather boa! Beverly's Yards of Fabric Sacramento provided all of the materials, workspace, sewing machines, ironing space and dress forms for the designers to use. Good Day Sacramento checked in three times during their show. The first segment followed the designers on their shopping spree, the second segment included designer interviews, and in the third segment the winner was chosen. The judges of the Challenge were Beverly's own Bridget Young, and Lisa Kennedy Watrous, a Sacramento blogger from the site Closet Candy. Since the judges were split on their final decision, the news anchors back in the studio had the final vote. The winner? Uniquka from UJ Fashions and her adorable short dress. Everyone had a great time, and we hope to be a part of this great event again next year! Thanks Uniquka, Latiya, and Good Day Sacramento!